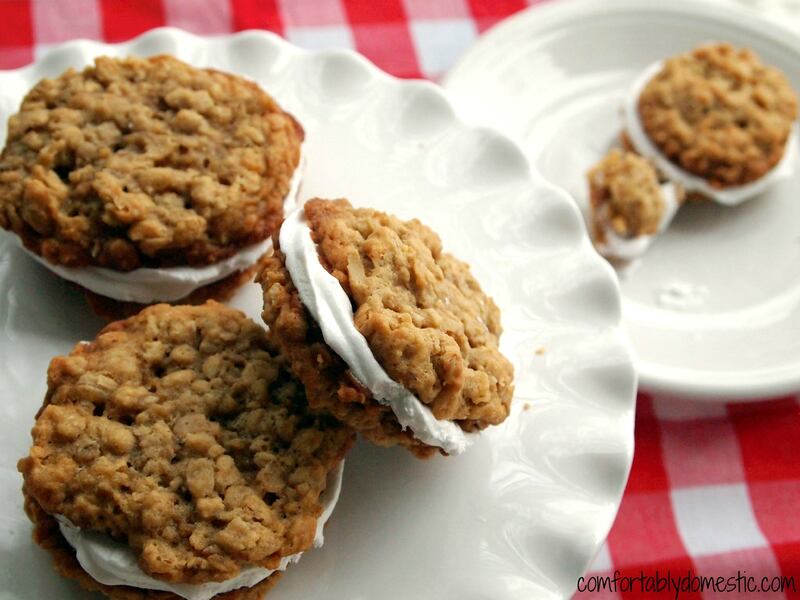 Homemade oatmeal marshmallow cream pies are today’s topic and recipe. However, the title of this post is known as, The One Where I Hip-Check Little Debbie into the Boards and Sculpt Alton Brown in Marshmallow Cream. Wading through pubescent hormones on the path to becoming a young woman is not always an easy task. As I recall, the teen years were either wonderfully fun and exciting, or laden with mood changes of such magnitude that I would never experience again. In short, it was a time in which my personal biochemistry zipped-back-and-forth as rapidly as a hockey puck on a power play. Did I really just compare hormonal fluctuations with a hockey reference? Yes. I believe I did. During a time of such estrogen upheaval, I turned to the one woman in my life that I could count on to understand what I was going through. She was sweet, comforting, and not at all judgmental–exactly what every teen girl needs. Her name was Little Debbie. Little Debbie and I were great friends. She consoled me with a steady diet of oatmeal cream pies whenever I needed them. Her soft oatmeal cookies with that super-sweet cream filling tasted like a thin slice of heaven in a cute cellophane bag. Her little pies were guaranteed to elicit smiles. However, as time went on and the hormonal surges of adolescence had quelled, I outgrew my dependence on Little Debbie’s pre-packaged happiness. Sometimes friends grow apart. It happens. I had to hip-check Little Debbie into the boards and take matters into my own hands. Sometimes a girl just has to stand on her own two feet…with a homemade oatmeal marshmallow cream pie in her hand. Take that, Little Debbie! I am a grown woman. A grown woman that can make her own oatmeal cream pies. Let me tell you something, Friends–I can’t believe it took me so long to make these at home. The cookies are firm enough to bite into without completely falling apart, and the marshmallow cream? My goodness, the marshmallow cream is so light and fluffy that it practically melts the second it hits your mouth. Besides, marshmallow cream is incredibly easy and so much fun to play with make at home. 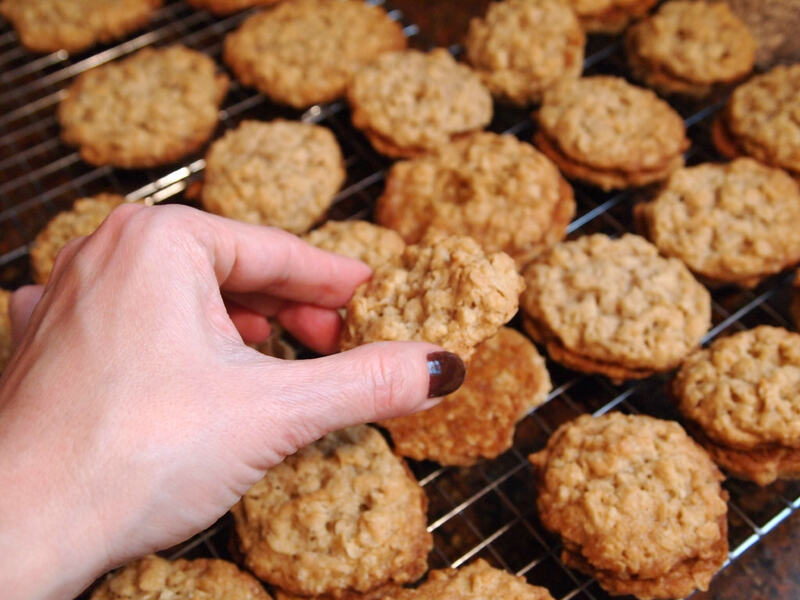 Bake up a batch of oatmeal cookies. I figured we’ve done enough cookies around here that the step-by-step wasn’t really necessary. Once the cookies have completely cooled, stack them in like sized pairs. 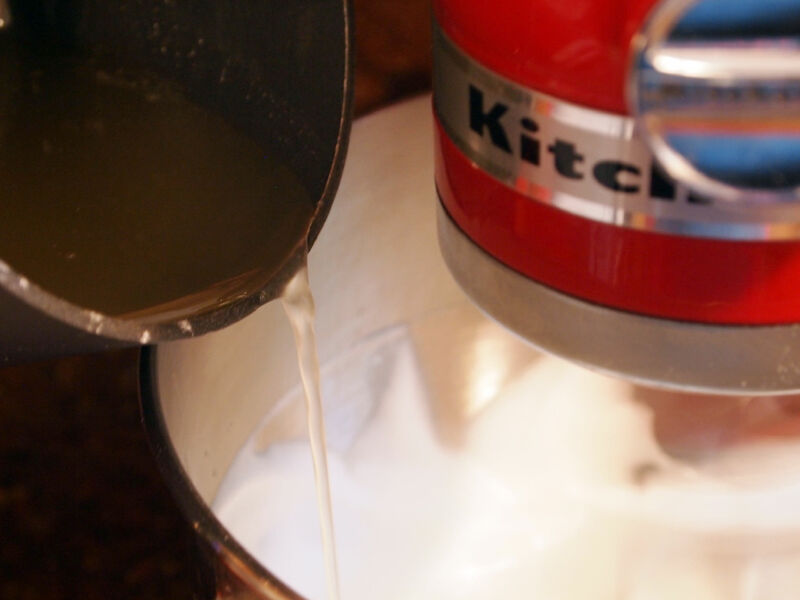 Comfortably Domestic Confession: I’ve been looking for an excuse to make marshmallow cream from scratch every since I saw Alton Brown pull his homemade stuff out of the pantry on an episode of Good Eats. I couldn’t find his recipe, but after a little trial and error, I came up with what I hope AB would consider palate worthy. I will say that it is, at the very least, darn tasty sandwiched between cookies. Beat the egg whites and cream of tartar on medium speed until foamy. The cream of tartar is in there to stabilize the egg whites. 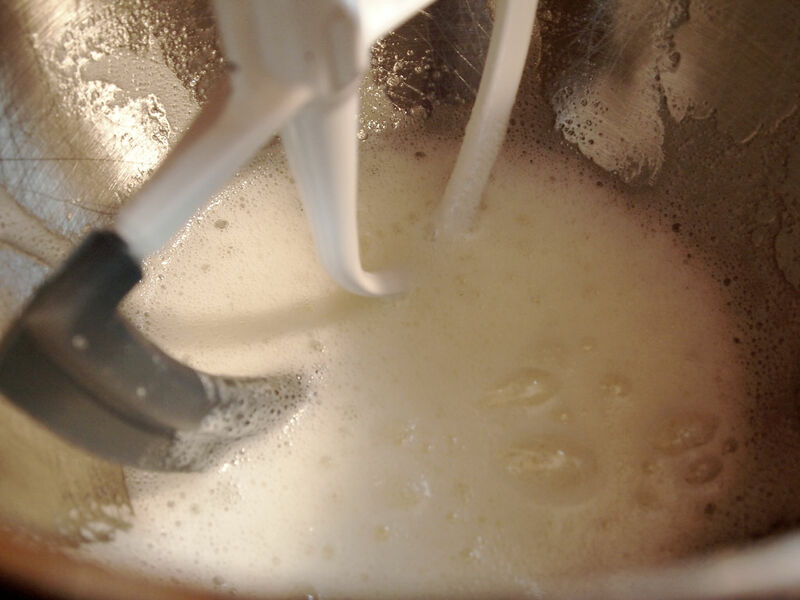 With the mixer running, gradually sprinkle the sugar into the egg foam, and continue mixing until soft peaks form. A “soft peak” occurs when you tip the paddle (or whisk) upside down and the egg foam stands straight up for a second or two before collapsing back on itself. Set the aside for a moment while cooking the syrup. Whisk together the corn syrup, powdered sugar, and water in a small saucepan. Cook and stir the mixture over medium heat until it comes to a rolling boil, which can not be stirred down. Turn the mixer on low speed, and slowly drizzle the hot syrup into the fluffy egg whites. The heat of the syrup will cook the egg whites as it mixes. Once all of the hot syrup has been incorporated, turn the mixer up to medium speed, and continue beating for 5 minutes, or until it is very thick and fluffy before stirring in the vanilla bean paste. So fun and easy! Just look at how soft and pillowy the marshmallow cream looks! Makes me want to lay my head down and take a nap–but that would be rather messy, so I’ll refrain. Now go back to those neat little stacks of cookie pairs and grab a couple of them. Pipe a good layer of marshmallow cream onto the flat underside of one of the cookies, and then top it with the flat side of another cookie to make a sandwich. Feel free to just slap the marshmallow cream on there with a knife if you don’t want to fuss with a piping bag. Continue filling and topping cookies until all of the oatmeal marshmallow cream pies have been made. Be forewarned: the recipe for marshmallow cream makes nearly twice as much as will be needed to fill the sandwich cookies. The leftovers store well in an airtight container in the refrigerator for up to two weeks. Perfectly ready for dolloping onto a mug of hot cocoa, spreading on graham crackers, or dipping fresh fruit. In addition to good eating, homemade marshmallow fluff has a variety of entertaining uses, such as spying celebrity silhouettes. Think of it as looking for shapes in cloud formations, only they’re comprised of less condensation and more corn syrup. Since Alton Brown started this whole homemade marshmallow cream madness, I found it only fitting that he was the first celebrity spotted. 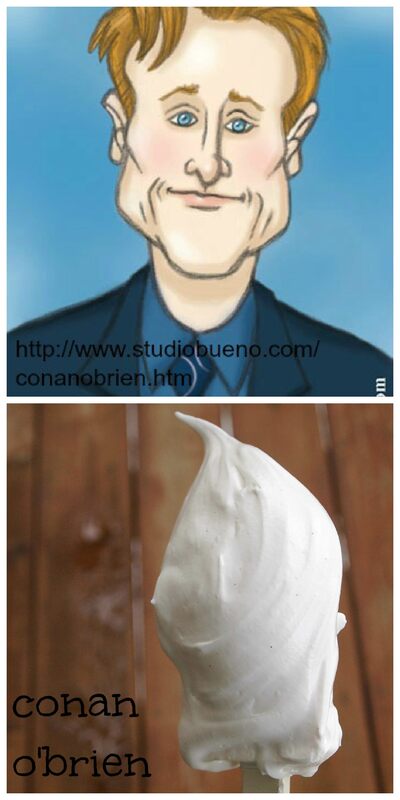 With a flip like that, this one can only be Conan O’Brien. 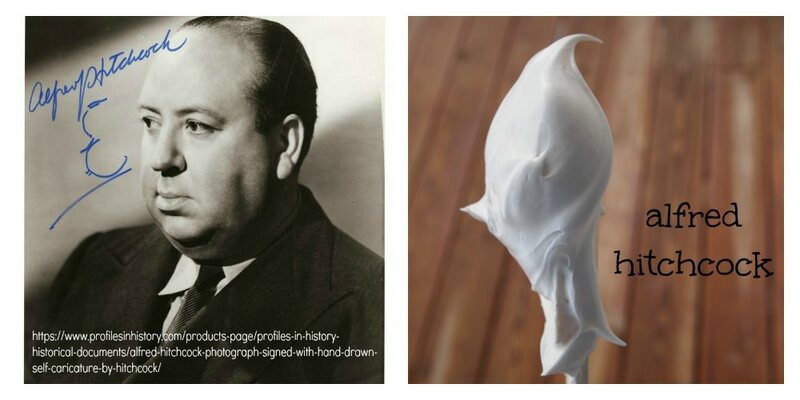 Since he has one of the most recognizable silhouettes in American Pop Culture, Alfred Hitchcock appeared in the fluff. Bottom line? 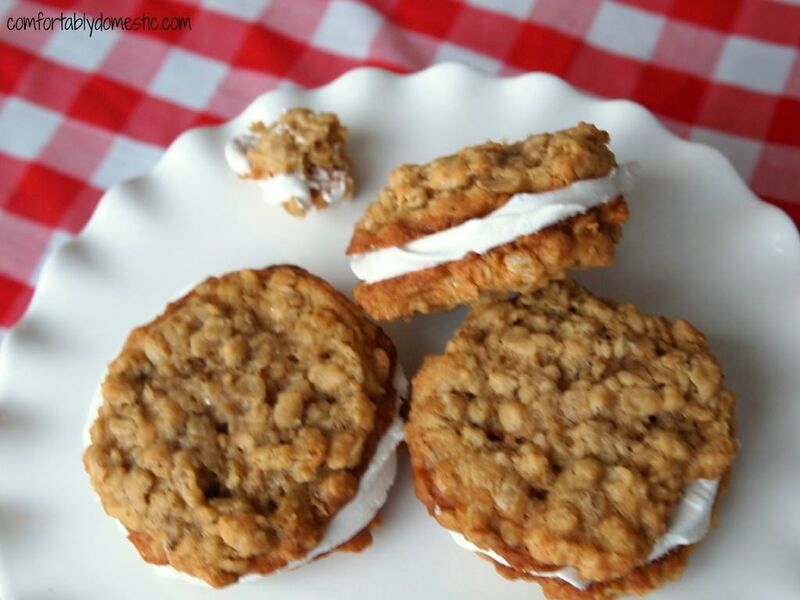 If homemade oatmeal marshmallow cream pies don’t bring a smile to your face, the marshmallow fluff is bound to. To make the cookies: preheat the oven to 375 degrees F. Line several baking sheets with parchment or silicone baking mats. 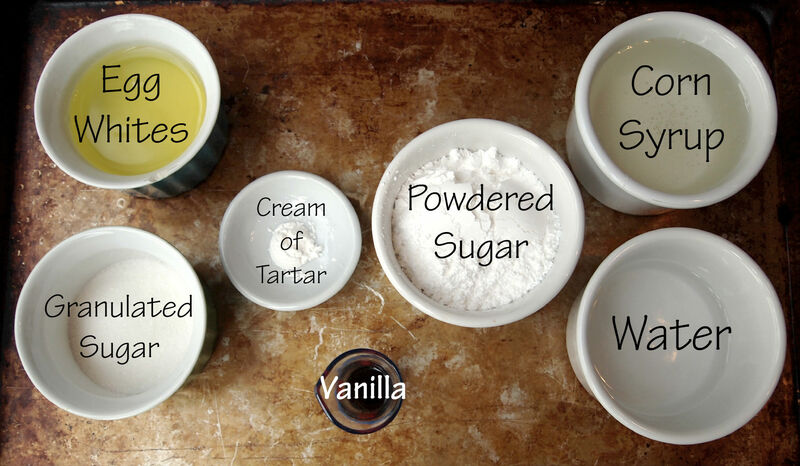 Cream the butter together with both sugars and honey in the bowl of a stand mixer for 3 to 5 minutes, or until it lightens in color and looks fluffy. Beat in egg and vanilla until incorporated. 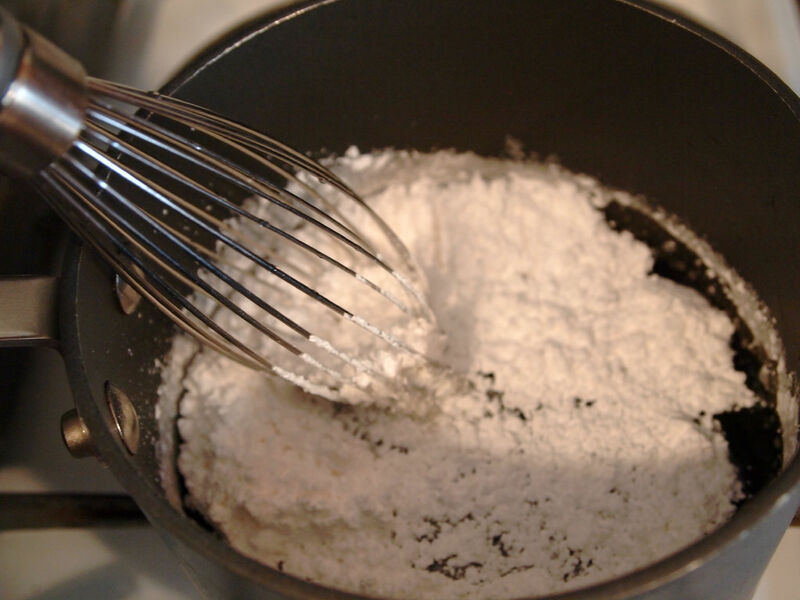 Whisk together flour, baking soda and salt in another bowl to combine. Gradually mix the dry ingredients into the creamed mixture until blended. Stir the oats into the dough by hand. 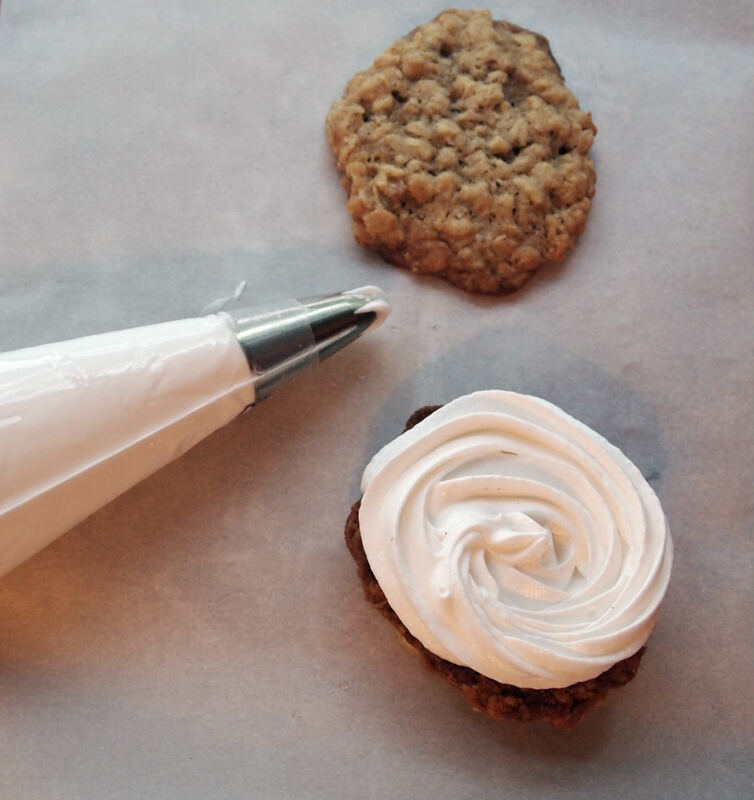 Use a small cookie scoop (1 oz.) to portion dough two-inches apart on the prepared baking sheets. Bake in batches at 375 for 8 to 9 minutes, or until edges begin to brown and centers are mostly set. Let cookies stand on the baking sheets for two more minutes before transferring them to wire racks to completely cool. While cookies are cooling, prepare the marshmallow cream. 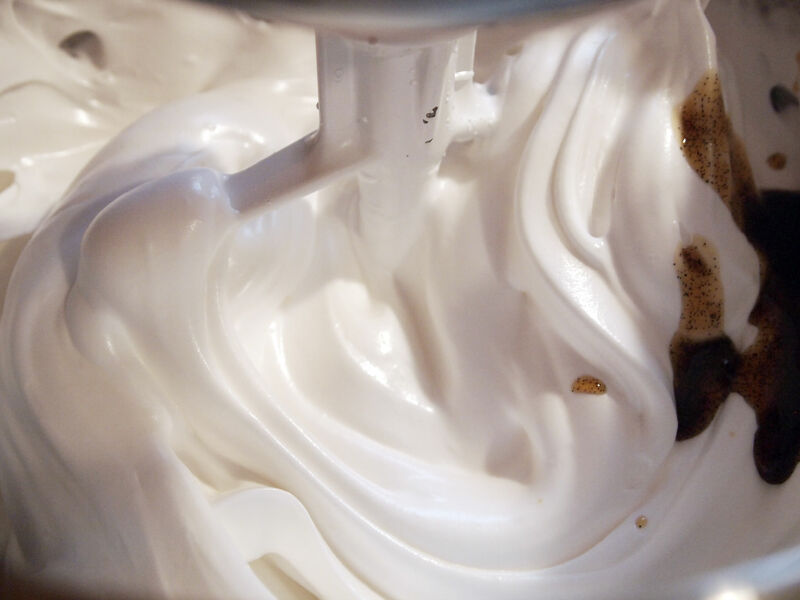 To prepare the marshmallow cream, beat the egg whites and cream of tartar on medium speed, in a stand mixer fitted with a whisk attachment, until foamy. Keep the mixer running while gradually sprinkling the sugar into the egg white mixture; continue to beat until soft peaks form. 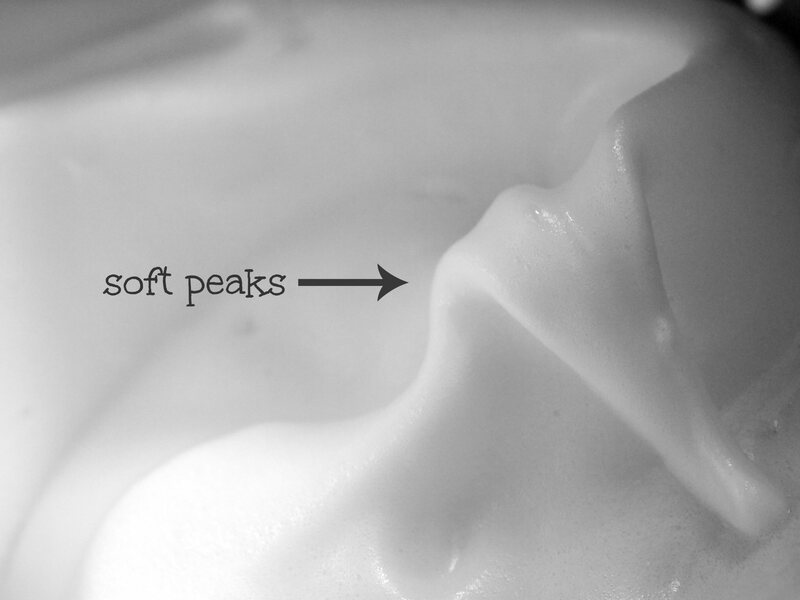 (Peaks are “soft” when you tip the whisk upside down and the egg white “peak” holds upright for a second or two before falling back onto itself.) Briefly set egg whites aside. 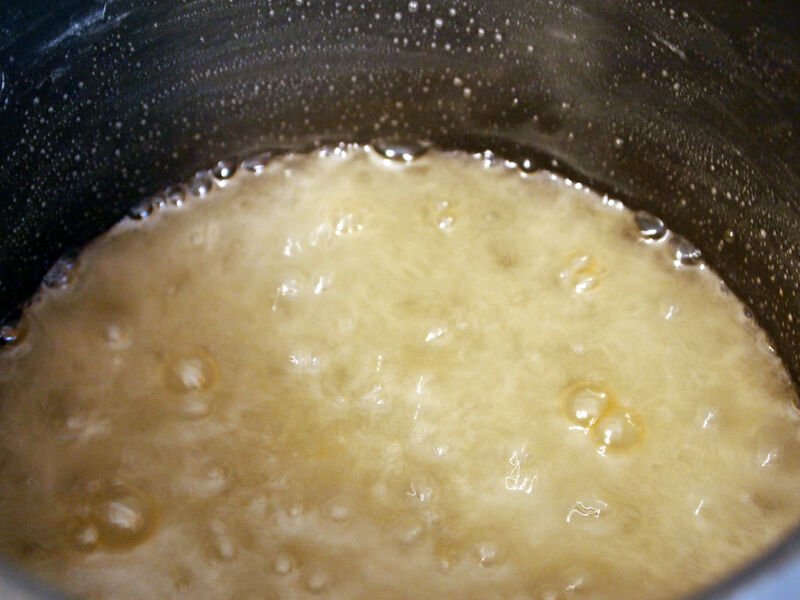 Stir the water, light corn syrup, and sugar together in a small saucepan. Bring mixture to a rolling boil over medium heat. Turn the mixer on to low speed, and then slowly drizzle the hot syrup into the egg whites. Beat the mixture on medium speed for 5 minutes, or until it is very thick, and glossy. Add the vanilla bean paste, and continue to beat for one more minute. 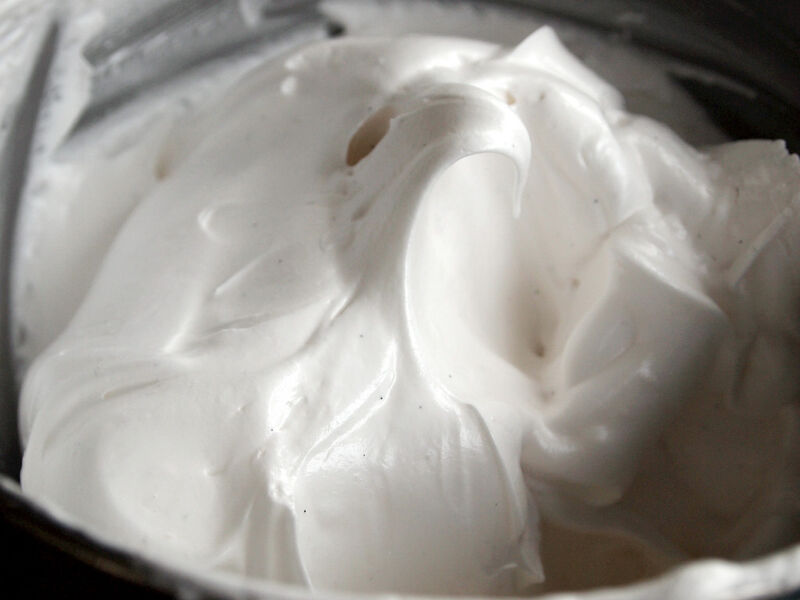 Let marshmallow cream stand at room temperature until completely cooled. 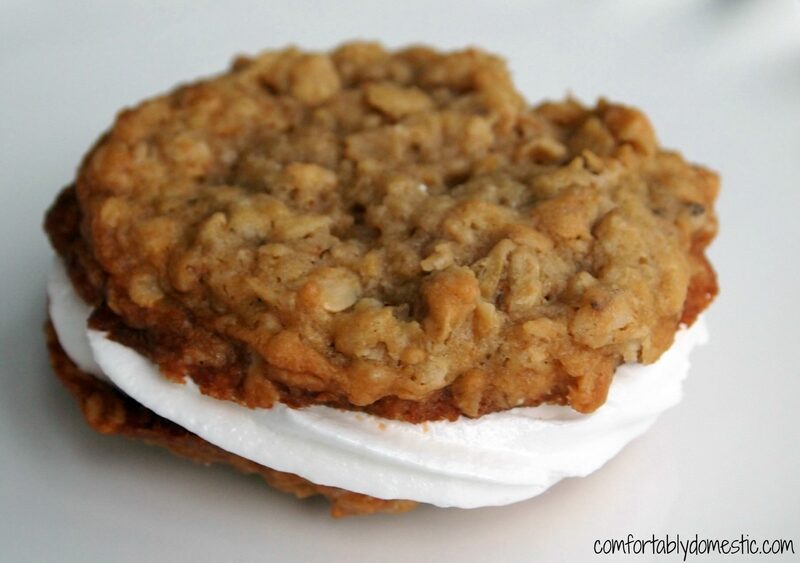 To assemble the oatmeal cream pies first pair up the cookies in like sizes/shapes. Then spread about a tablespoon marshmallow cream on the bottom of one cookie, topping it with another cookie, until all cookies have been made into sandwiches. 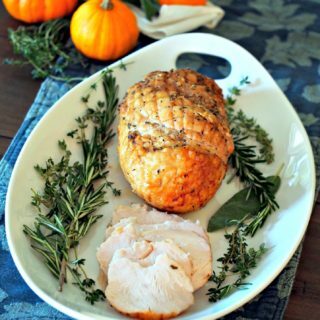 Serve immediately or store in an airtight container in the refrigerator. Once refrigerated, allow cream pies to come to room temperature before serving. The recipe makes about twice as much marshmallow cream than is necessary for the sandwich cookies. Sometimes food science can be fickle; scaling down the recipe did not yield consistent results. 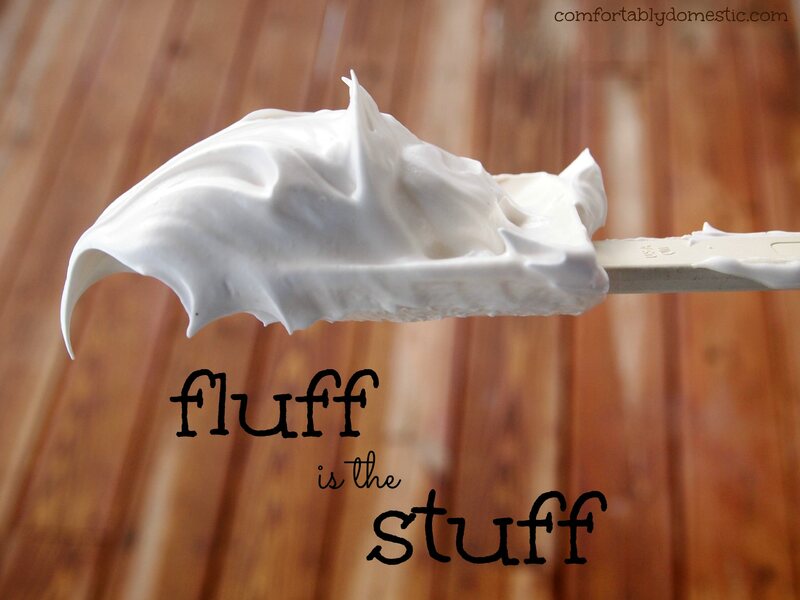 Extra marshmallow cream can be stored in an airtight container in the refrigerator for up to two weeks. Marshmallow cream has many tasty uses: spread it on toast with your favorite seed or nut butter, serve it as a dip with fresh fruit and graham crackers, or spoon it slightly warmed over ice cream. Hi! I made your recipe but in the picture of your ingredients for the fluff + the description under the photo, you state "cornstarch". The recipe and directions, you state powdered sugar/sugar. Since it uses powdered sugar, I would suggest a correction for the photo! I debated "did she mean cornstarch...yes, it is a thickener but too much of one..." and I settled on that but it was way too thick and I decided you meant powdered sugar. That being said, these are AMAZING!! 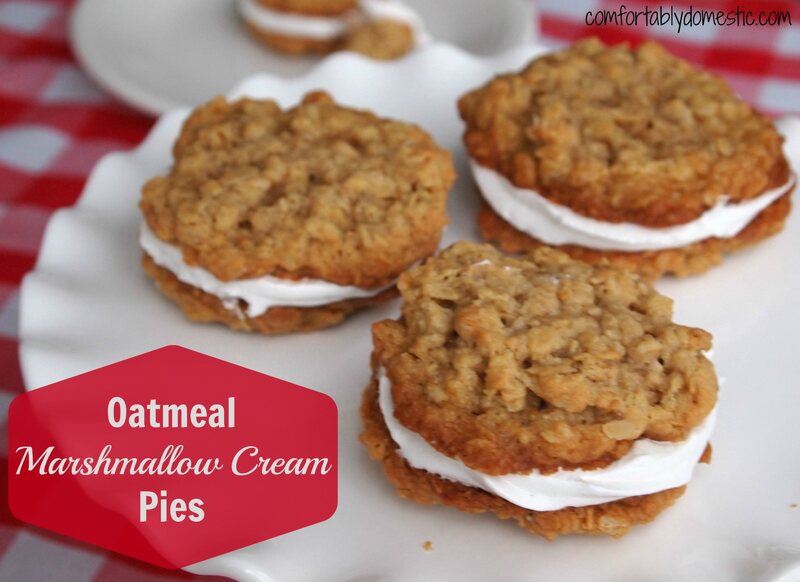 I love love LOVE oatmeal cream pies and this tickles me so much to know how to make them!! ACK! You are a lifesaver, JoJo! I laughed so hard when I read your comment because that would be a whole mess o' cornstarch for this application. Ha! So yes, the photos and illustrated recipe text have been corrected. I'm glad you persevered for my food-blogging-brainfart and made the recipe anyway. ;) Making homemade oatmeal cream pies does give a certain satisfaction, eh? Thanks, again. You rock. This post is pure genius, spot on with the celeb fluff faces. 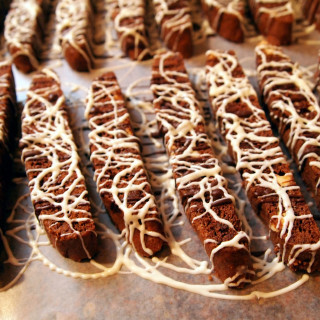 I would love to make these but I need to make sure there is a crowd around so I don't eat them all, I have no control around Little Debbie's version. I have found, in recent years, that candy and treats that I loved/craved/wanted because I couldn't have them often do not taste all that great to me anymore. But there are so many other foods out there that do taste great/wonderful/yummy to me now. I still will take a piece of something for the nostalgia, but it seems that the taste isn't what is pulling me, it is the memory. Off to make a S'More as I really want cake, which is my sister's fault today, but we have no layer cake with dark chocolate frosting in the house. Maybe I'll bake one tomorrow. I love a good oatmeal cookie and I love marshmallow fluff. This is my idea of the perfect sweet treat. And that close-up of the fluff in the bowl, with that perfect peaked wave in the middle? Dear Lord, please help me. I could go in face first. 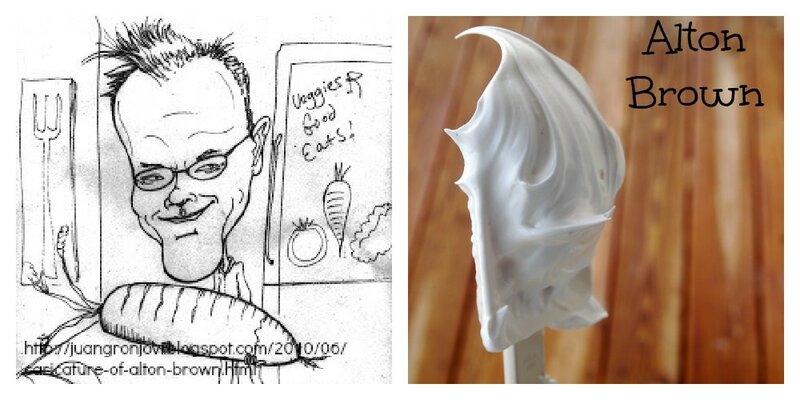 PS - your celebrities sculpted in marshmallow fluff cracked me up. It's your own Cheesus.